Pennsylvania's highest court won't remove a judge from Meek Mill's long-running criminal case, but one justice says the rapper can raise the issue again after a hearing next week. Three judges denied Mill's request Tuesday to replace Philadelphia Judge Genece Brinkley, and three supported it. The rapper's lawyers have been leveling harsh criticism at Brinkley for months. Brinkley's lawyer says she's been fair. Justice David Wecht says Mill can raise the matter anew after Monday's hearing before Brinkley. His lawyers are seeking a new trial. 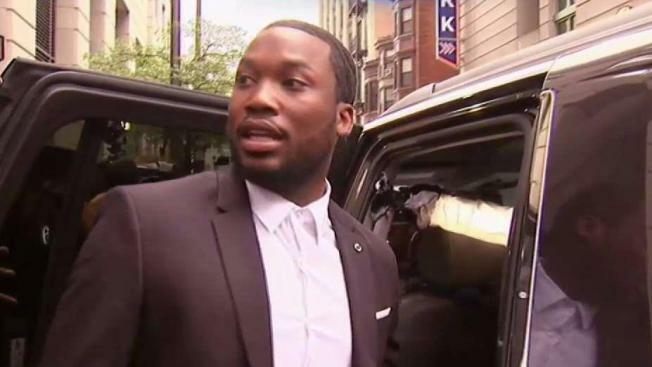 "We remain hopeful that the overwhelming amount of evidence in this case – and the Philadelphia District Attorney’s backing of Meek’s [post conviction] filing – will prompt Judge Brinkley to grant Meek a new trial," Mill's legal said in an emailed statement. If the judges refuses, "we will promptly pursue all appellate remedies available to Meek in order to right this terrible injustice," the rapper's lawyers added. Mill has been fighting to get his 2008 conviction on drug and gun charges thrown out.